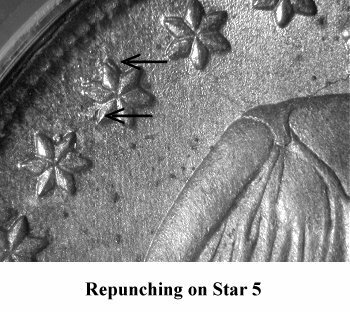 Comments: Obverse 4 exhibits a boldly repunched Star 5 and comes fairly well struck even though the reverse die experiences severe degradation. 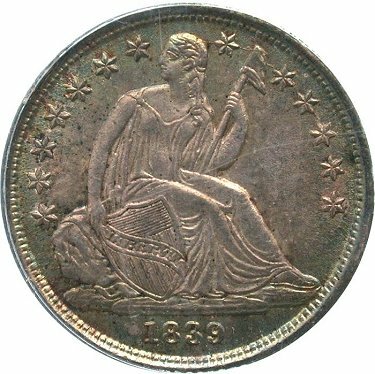 As Reverse E approaches its near terminal die state, Obverse 4 exhibits a die crack from Liberty's head through Star 8, the cap and Stars 9 to 12. Another die crack starts at the rim below the left base and proceeds up through the rock into the left field. There is also a die crack from the base under Liberty's foot that moves towards the lower shield. 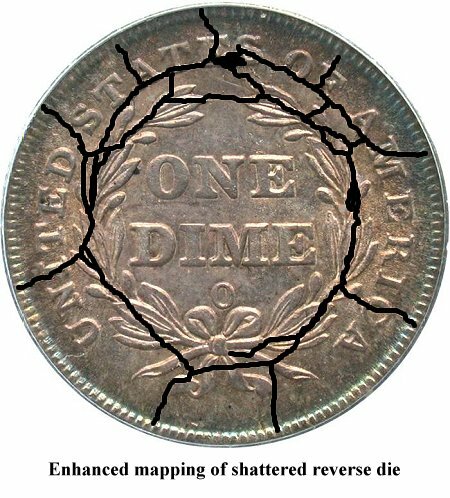 Reverse E is nearly always seen with some levels of die cracks which eventually lead to the spectacular cobweb shaped shattered reverse. 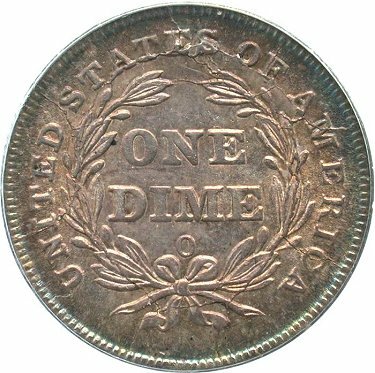 This die pair saw significant usage as evidenced by the available amount of circulated examples with varying degrees of reverse die cracks. 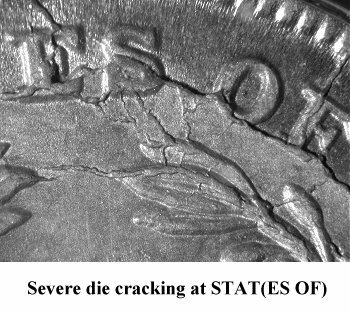 The plate coin presents Reverse E in a very late die state. It has completely shattered leaving heavy die cracks from UN(I)TED to the wreath, then along the bottom of S(TATES OF A)MERICA. This die crack then re-enters the right wreath down to the bow knot. 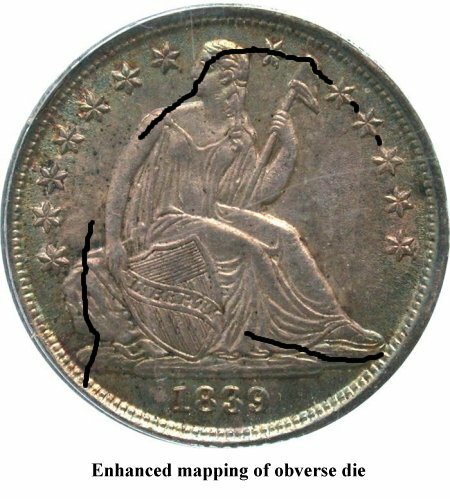 The die cracks covers the entire circumference of the reverse. Variety 106a is highly sought after in higher grades by variety specialist due to its spectacular appearance.